Available for 16, 24 & 32 tablets Lightning or Micro USB. 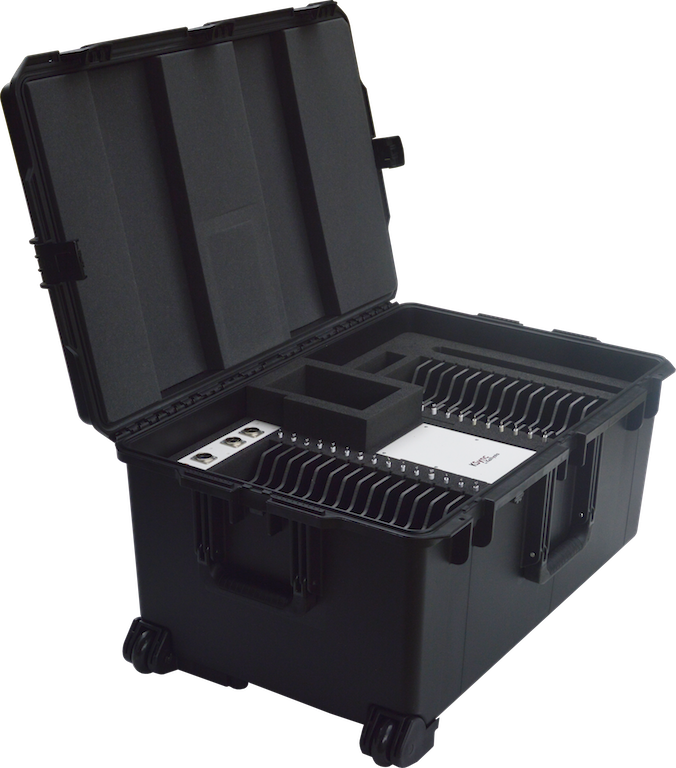 This Magellan solution is a robust case that can transport, deploy and secure very quickly a fleet of 32 tablets. Thanks to the integrated KSync technology and its forced mechanical ventilation system, this mobile case charges and synchronizes closed lid all the tablets connected. With its pre-wired location for a high-performance WiFi hotspot and its ON/OFF button, stay connected in a controlled way.